So you want to be able to improve your skills as a review writer. This article covers the elementary or basic steps. 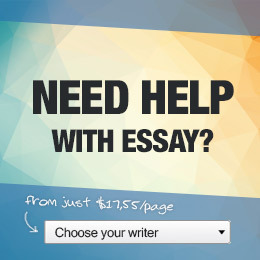 Using these steps will enable you to seriously create an interesting written review. This article is not so much about your actual writing skills but rather the questions you need to ask in the structure you need to create in order to create an excellent review. Getting your writing skills up to scratch and knowing how to spell correctly and use appropriate grammar is an additional skill. But here are the basics in a tutorial for dummies wanting to be better at writing a review. What does the author state? What other books are there on this topic? It's most important that you understand a little about the author. If they are a very experienced writer with proven expertise in this particular subject, then that will make a difference in how you write your review. If you discover that the author of the book or article you are to write a review about is young, inexperienced and has never written anything else before, that will colour the way you write your review. So learn about the author. What is the main thrust of the book or article? There needs to be a single sentence which can encapsulate the main thrust of the work you are reviewing. Only when you've been able to produce that single sentence will you be in a position to conduct an overview of your writing project. The author will make a number of points in their book or article. You must make a list of these main points. You can't review what you don't understand. Know the work well before you set to and write your review. Can the author be described as an expert? Why is this so? Of course writing your review on this particular book needs to be balanced by what has also been written on this subject. You need to find, if they exist, other publications on this very topic. This is because the review that you write will need to address the points which may have been made in other publications but perhaps are not in the one in which you are making a review. These are simple steps but for anyone making a review, will serve them very well.